This year I really wanted to make something, rather than buy something. Thoughtful little edible Christmas presents for my family were it. I was having a think last week while lying in bed with my girlfriend about what I could make that would be a bit of a treat and at the same time affordable and practical. Lemon Curd, of course, an old classic most loved and documented in the Victorian era served with scones or thickly spread on slabs of dense white bread. It definitely has a tinge of nostalgia around it, almost Famous Five like. It’s also something that’s never the same when shop bought. 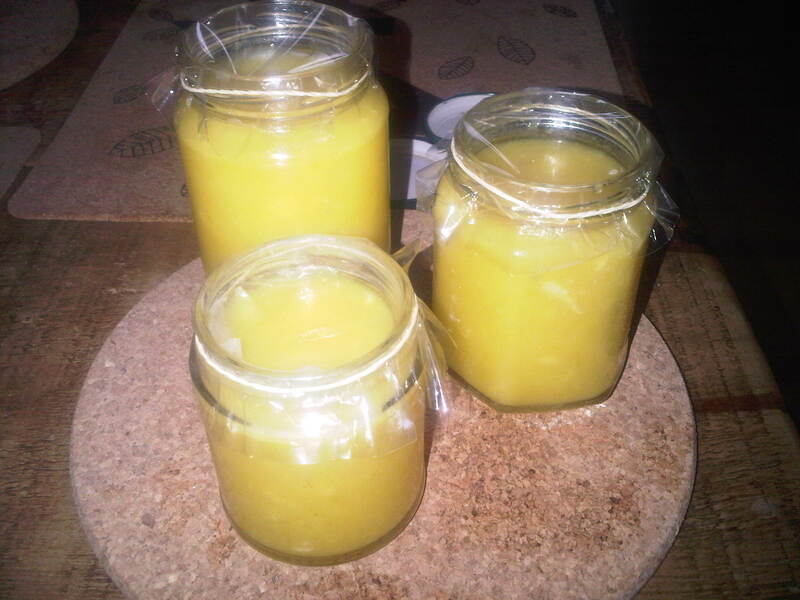 All you need is some juicy organic unwaxed lemons, caster sugar, eggs, butter and some spare jars which need to be washed with soap and warm water, then placed upside down in a medium oven for about half an hour. 1. 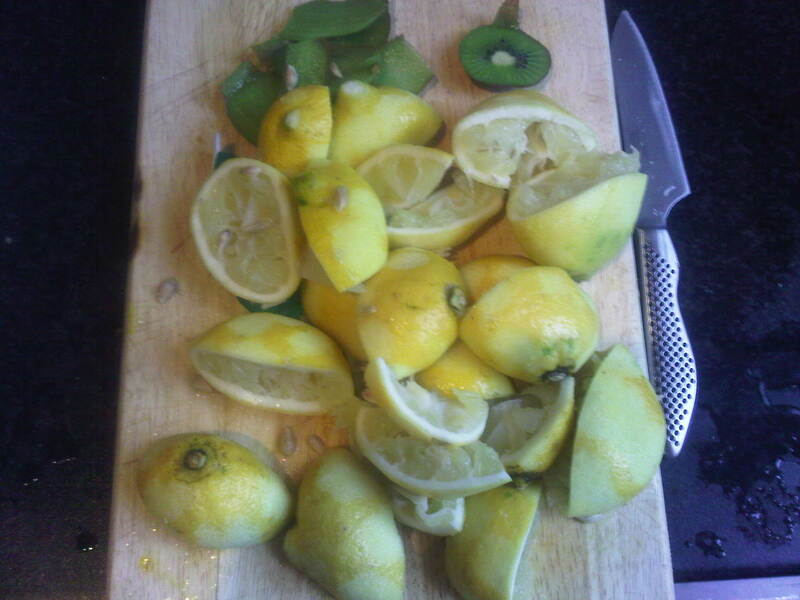 Add the lemon zest, juice, the sugar and the butter into a heatproof bowl set over a pan of gently simmering water. Ensure that the bowl is not touching the water. 2. Stir carefully with a whisk until the butter has melted. 3. Mix the eggs and yolks with a folk and add to the glowing lemon mixture. 4. Let it cook, stirring regularly for around 10 minutes, until it is thick and curd-like. 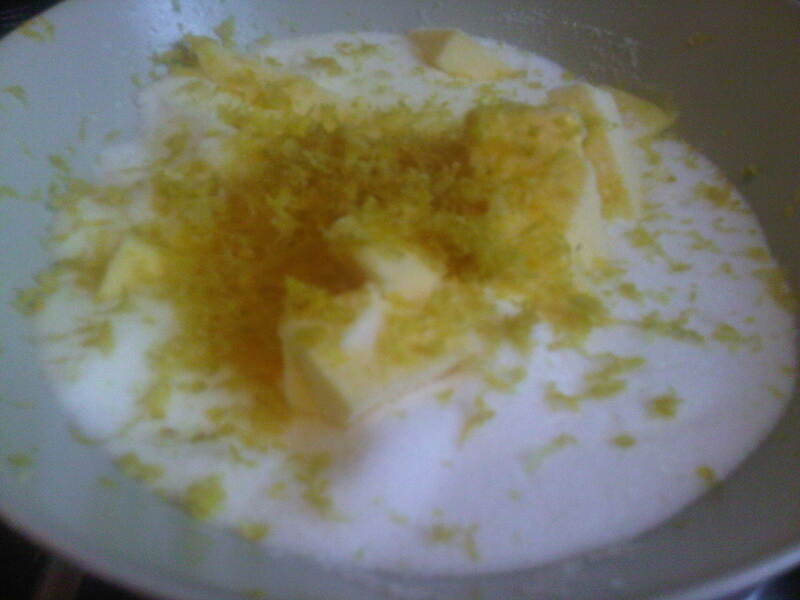 The mixture should feel heavy on the whisk like a custard. 5. 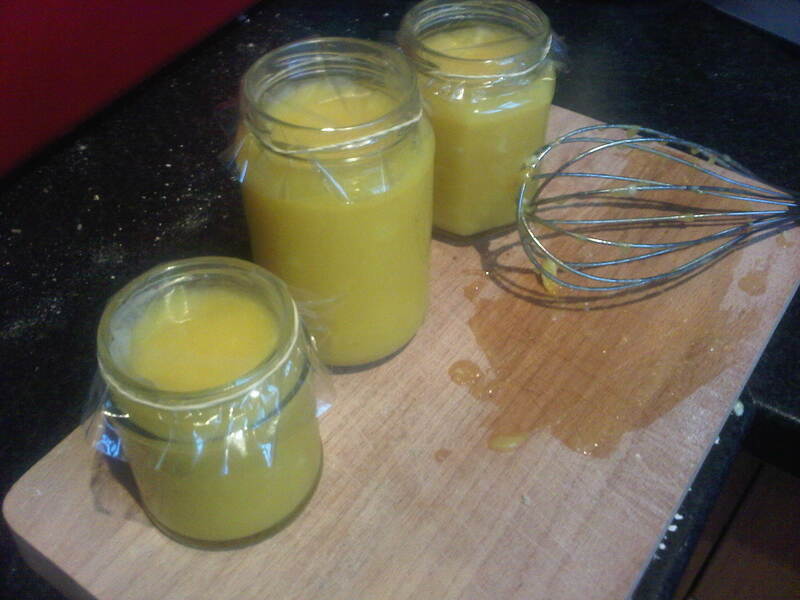 Remove from the heat and pour into your warm sterilised jars and seal while warm. 6. Once cold, label and make them pretty with ribbon or loved old cloth! They will last for about three weeks if stored in a cool place. Serve generously with meringues, amaretti biscuits, scones and slabs of crusty bread. There are still five days before Christmas day so get cooking and flood your kitchen and friends with some winter sunshine.